Holland America Group called on SkB Architects to consolidate its operations within a single facility, with an aim to bring its Holland America, Princess and Seabourn brands into closer alignment and increasing its operational efficiencies. 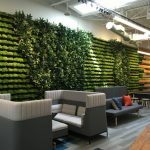 Why your office is starting to look like a forest, a Dutch co-working space created out of shipping containers, the death of the cubicle, and more industry news! This week, we’re rounding up our favorite articles from around the web all about Amazon HQ2 – make sure to take our 3-question poll too! Find out just how competitive the bids for Amazon HQ2 are getting, learn more about Microsoft’s big plans for overhaul of their Washington campus, and more! The recent CoreNet Global Summit in Seattle, attracted almost 3,000 corporate real estate end users, service providers and economic developers to discuss the state (and future) of CRE. Find out how this CEO created a space where you can have setbacks but the team can reenergize every morning despite how long the day before was.